Today’s businesses need greater payment flexibility and better fraud prevention tools than ever. CNBC reports that employee thefts cost U.S. businesses $50 billion each year. Businesses also suffer fraud losses from external thefts caused by hackers accessing credit card numbers and account information. Virtual accounts and virtual account numbers are two solutions for businesses to manage their expenses and to help prevent fraud. For companies that have large numbers of transactions, virtual accounts may be established. These are a number of dummy accounts that can be used to make payments or to receive them for a single account. Different dummy accounts can be set up by the supplier and can’t be used to access the single account. Virtual account numbers are account numbers that are generated and that hide the original account number to which they are linked. This helps to make the process of tracking expenses simpler by tracking them according to the different account numbers that are generated. What are virtual accounts and virtual account numbers used for? Virtual account numbers and virtual accounts are used to better manage a business’s cash flow. The virtual account numbers can be used by accounts payable and accounts receivable departments to reroute outgoing and incoming payments through the original account number and to track expenses per each number. In a broader sense, virtual accounts may be used by large companies that have multiple locations or departments. The accounts can be set up per location or per department so that the expenditures can be easily tracked as they move through the original account. How does a virtual account work? When you have a virtual account, it is linked to your business’s deposit account. Transactions that are made using the virtual account will be routed through the original deposit account. This allows you to see where different categories of transactions originate from within your company and gives you a better cash management solution. Businesses that have multiple virtual accounts can move money between those accounts and their original account without violating regulations. Who uses virtual accounts and virtual account numbers? Businesses and consumers alike use virtual accounts and numbers. Accounts that are virtual have lower transaction costs and allow easier tracking of expenses online without having to go to a physical bank. Account numbers that are virtual add a layer of fraud protection for transactions that are completed remotely. The numbers can be set to expire after a single use or by a certain date. After they expire, they will no longer work. The virtual numbers can’t be used by would-be thieves to identify the underlying account number or to access the money that is deposited into it. How can I get a virtual account and virtual account number? In order to get a virtual account and a virtual account number, you can start by researching on the internet. There are several banks and companies that offer these types of accounts and numbers. You can start by comparing the features of the accounts and virtual numbers and the costs. Once you have identified the account and number offer that matches your business needs, you can then submit your application online. After you are approved, you can deposit money into the original account to which the virtual ones are linked. What makes for the best virtual account? Features that you should look for in an offer for an account that is virtual include the ease of opening the accounts and the scalability of the account. You should be able to open accounts to handle incoming payments and outgoing payments. You should also be able to assign accounts to particular vendors, and you should be able to view the transactions that go through each sub-account online whenever you wish. Great accounts that are virtual should also offer strong expense management tools and the ability to restrict spending by the category for each department. The data for the individual sub-accounts should import automatically into your company’s bookkeeping software so that you can avoid manual data entry errors. What else should I know about virtual accounts? Virtual bank accounts are not new. Instead, they have been used by international companies that operate in Asia and in Europe for more than a decade to easily move money between accounts and to manage expenses. The accounts themselves differ from virtual IBANs, which are virtual international bank account numbers. These can are numbers that can be used to make purchases that are then routed through the original accounts while the virtual sub-accounts refer to the structure that is set up and can be assigned to individual departments, subsidiaries, or suppliers. Setting up an infrastructure of virtual sub-accounts can help to protect your business and to prevent fraud. Departments and suppliers are not able to see the original account on which the sub-accounts are based or access the funds that are held in it. Virtual bank accounts also help to protect your funds from internal thefts by your employees. The transaction data uploads automatically so that you can easily see how your company’s money is being spent without having to worry about errors that can occur with manual entry. Using accounts that are virtual also prevents your employees from accessing the money that your company has in its original account. How can virtual account numbers be used? Using account numbers that are virtual can help you to prevent fraud. 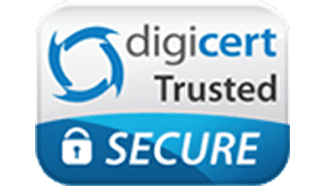 You can use the virtual API that has been provided to you by the bank or card issuer to generate virtual credit cards with 16-digit card numbers and CVV codes. These numbers can then be used by your employees to make preapproved purchases in the expense categories that you select. You can assign a number to your sales department to use to book airfare and hotel rooms for a conference that your employees will attend. Your IT department might be given virtual credit cards to use to update your company’s computer equipment. 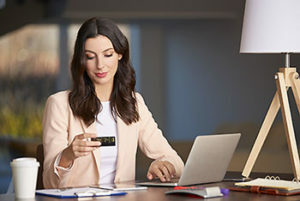 The virtual credit cards that you assign to different departments will not be able to be used to purchase other things than what you have authorized. How do you load money into a virtual account? In order to load money into your virtual account, you can transfer funds into it in the amount that you choose electronically. You can also choose to mail your deposit using the U.S. Postal Service. Some virtual bank accounts allow you to send an ACH transaction from your existing bank account or to wire the money. You should make certain that your deposits are FDIC insured and that you will not be charged fees to reload additional funds into the account. How do you get money out of a virtual account? Virtual accounts for businesses are designed to prevent employees from being able to withdraw money using their virtual credit cards or virtual debit cards. Instead, only you as the business owner will be able to withdraw funds from your virtual bank account using your business owner debit card. If your employees try to access your money with their virtual debit cards, their attempts will not work. You can also see any suspicious activity and attempts that may have been made using the virtual debit cards so that you can address it promptly. What is the difference between a virtual card number and my virtual account number? Virtual card and account numbers can both be generated using a virtual API. They are both 16-digit numbers that work like credit card numbers and can be used to make remote payments online or by telephone. You can give the numbers that you generate for your virtual credit cards or your virtual debit cards to suppliers with whom you regularly do business. 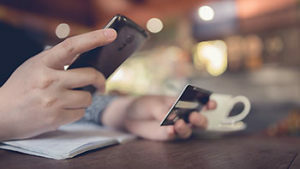 When it is time for a payment to be processed, a supplier can simply charge it to the virtual debit cards number that you have assigned to it. 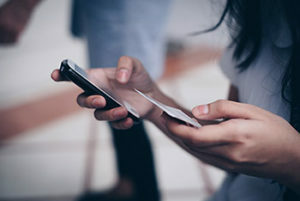 Virtual cards can also be assigned to individual departments, and the employees of those departments can use them to make purchases that are needed. Setting up accounts that are virtual can give you greater controls over the spending that occurs. You can restrict how each of your virtual numbers can be used according to the needs of a particular department or the jobs of individual employees. 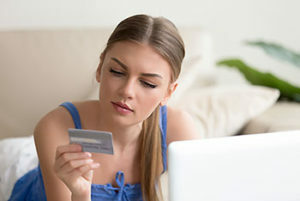 Some virtual bank accounts allow you to restrict where the associated card numbers can be used, and you can decide how much money to allocate to each number. You can also set the numbers to turn off when your business is closed or after single capital expenditures. The ability to see how the money at your company is being spent can allow you to make budget adjustments and to quickly identify problematic spending patterns. Virtual numbers and accounts can help you to reduce the risk of fraud at your company. These numbers can allow you to get rid of processes that place companies at higher risks of fraud. For example, you can give numbers to your employees to use to make daily purchases in the expense categories that you select and limit the amount that they can spend by the day or week. Using virtual numbers and accounts can also allow you to get rid of check writing, reimbursements, and petty cash systems. All of these are areas in which fraud can be perpetrated. By limiting your employees’ access to your money, you can prevent fraud before it can occur. The Bento for Business Visa debit cards are virtual cards that give you extensive controls and improved expense management. You can decide how much money to make available on each card and restrict the amount that your employees can spend by the day. You can also turn the cards on or off remotely from your mobile phone by clicking a button. The cards can be restricted to where they can be used. For example, you can assign a card to your paralegal that allows him to use it to pay court filing fees at your local court. If your paralegal tries to use the card to buy lunch, the attempt will be denied at the register. 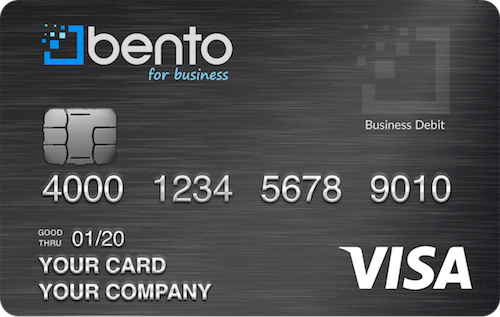 Bento for Business offers Visa debit card solutions with substantial controls for business owners. You can try two Bento cards with a free 60 day trial or get up to 10 for only $29 per month. The cards are not credit cards, so your credit will not be checked. Since they are business Visa debit cards, you also will not be charged any interest. The virtual cards are scalable and can grow with your business. Bento uses 256-bit SSL encryption technology, which is the same high level of security that is used by banks. Your deposits are insured by the FDIC for up to $250,000 through the Bancorp Bank; Member FDIC. To learn more about the virtual card and virtual account solutions at Bento for Business, call 866.220.8455.